Romney tries to stop Jeb Bush momentum. Mitt Romney makes his way through supporters of then-U.S. Senate candidate Joni Ernst on Oct. 11, 2014, in Cedar Rapids, Iowa. Mitt Romney met with a group of big Republican donors Friday and uttered five surprising words: “I want to be president.” His words to about 30 donors were immediately leaked to the press, which ate up what on its face appears to be a reversal from previous statements, in which the 2008 and 2012 contender seemed to dismiss another run at the presidency. But Romney told donors that his wife, Ann, changed her mind and is now “very encouraging” about a presidential run, although his sons remain split, reports the Washington Post. 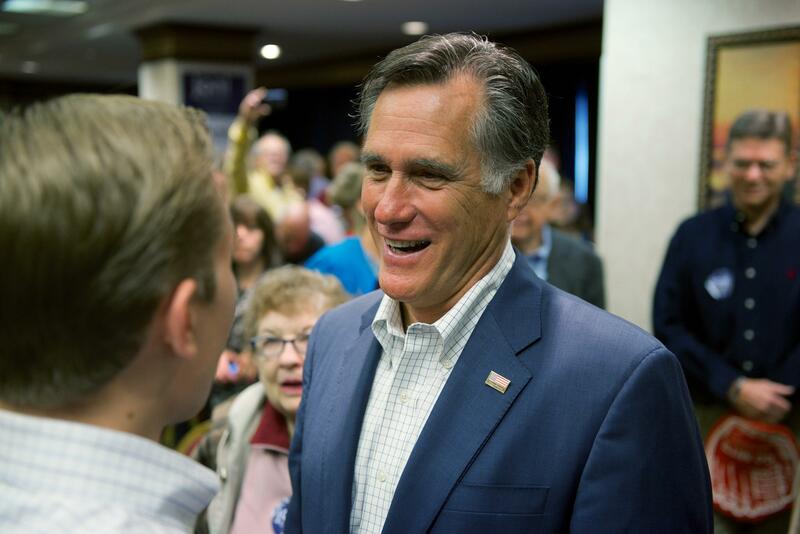 Romney’s statement “electrified the world of Republican financiers,” according to the Post. Coming at a time when former Florida Gov. Jeb Bush has been aggressively courting donors, Romney’s words “could cause some high-level Republican donors to at least hold off on committing to Mr. Bush,” notes the New York Times. “If there are donors thinking in a vacuum, ‘I’m with Jeb because Mitt is not running,’ then of course they are now going to have more to think about,” longtime adviser Spencer Zwick said. For now, Romney seems determined to stop Bush’s momentum, even if he hasn’t fully decided whether to run. “Romney is really buying himself—and, whether intentionally or not, the rest of the potential field—some time,” writes the Washington Post’s Chris Cillizza. “He’s taking the Bush pot off of boil and turning it down to simmer.” Besides personal ambition, Romney has also made it clear he is skeptical about Bush’s chances to both win the nomination and then go on to beat the Democratic candidate.